Show of hands…..who loves Eggs Benedict? 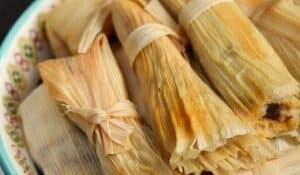 How about a luxurious sauce to pour over your steamed asparagus or artichokes? 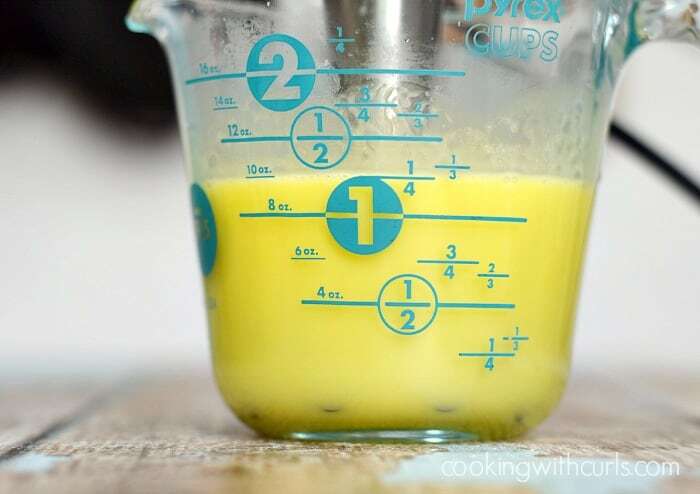 Well let me tell you, this Easy Blender Hollandaise Sauce is exactly what you need in your life!! 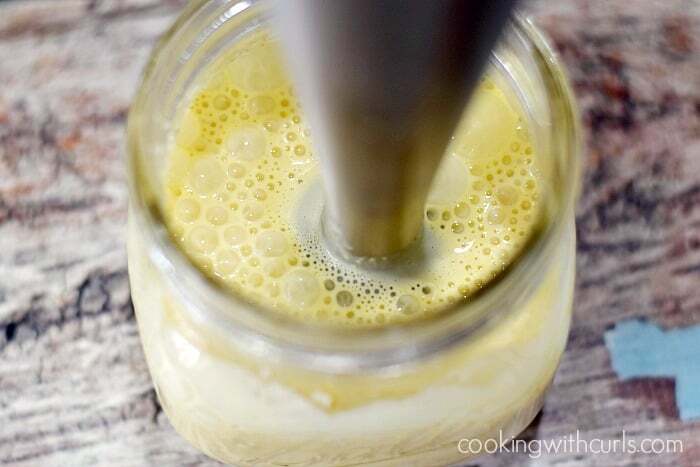 You can use a regular blender, or an immersion blender to create the perfect sauce every time….. I seriously L-O-V-E this Hollandaise Sauce!! 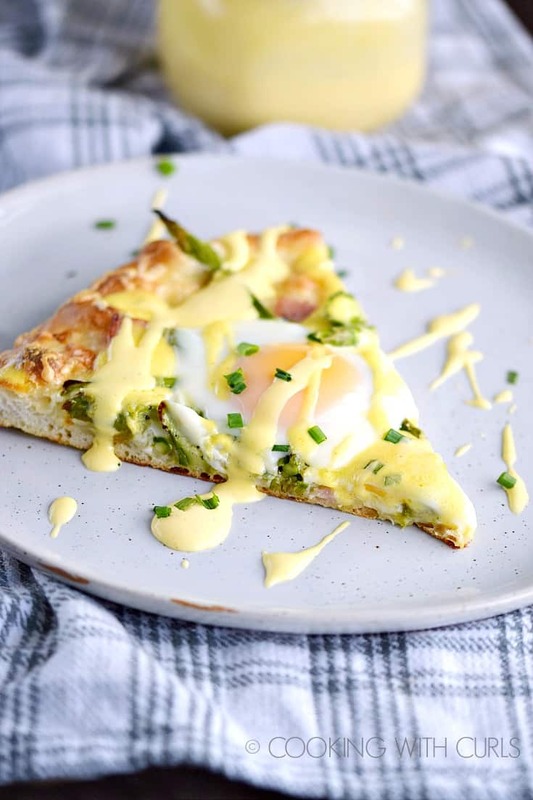 It’s not scary to make at all, I promise….and look at what you get to drizzle it over…..
How do you make Easy Blender Hollandaise Sauce? 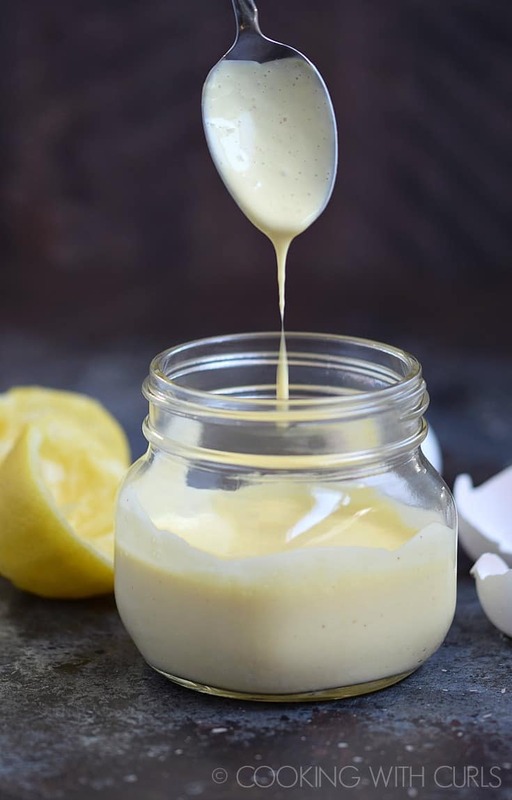 Place the egg yolks, mustard, cayenne, and salt in a measuring cup, wide-mouth mason jar…..
or blender canister and blend to combine…..
With the blender still running, slowly pour the HOT melted butter into the egg mixture…..
Keep the sauce warm until ready to serve…..
OMGosh, I can’t get enough of this sauce. It’s rich from the eggs and butter, and tangy from the lemon juice with just a hint of heat from the cayenne. 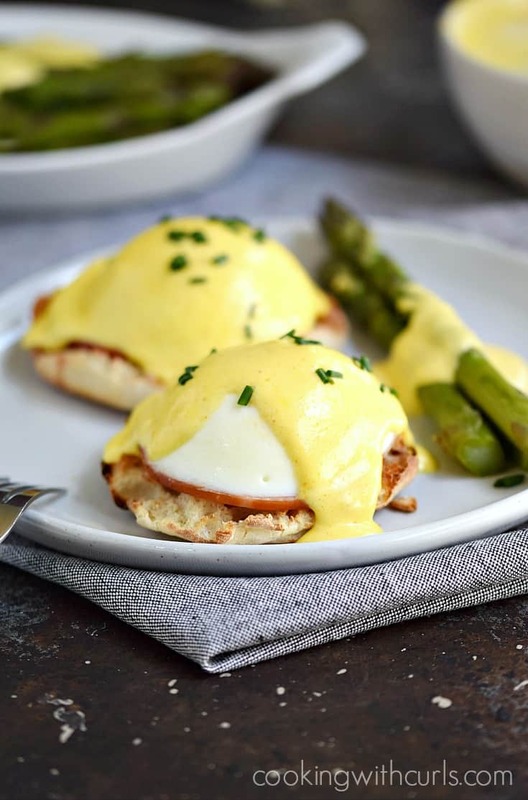 What is the difference between Hollandaise and Béarnaise Sauce? 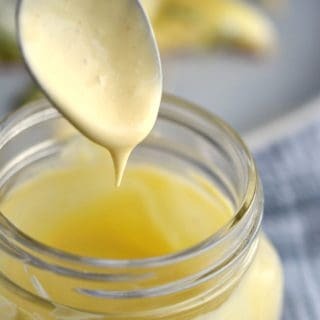 Hollandaise Sauce gets it’s acidity from lemon juice, while Béarnaise Sauce get’s it acidity from white wine vinegar. Béarnaise is also flavored with shallots and tarragon. How do you fix a broken sauce? When emulsifying sauces things are bound to go wrong especially from overbeating or adding the butter too quickly. Simply blend in a teaspoon or two of boiling water, a drop at a time. If that doesn’t work, slowly add in a beaten egg yolk. This should tighten up the sauce and pull it back together. Can you make Hollandaise Sauce in advance? Yes!! Once your sauce has cooled to room temperature, place it in the refrigerator until ready to use. Reheat in the microwave in 10 second increments stirring in between , until warm but not hot….you don’t want to break your sauce at this point! If you are opposed to microwave ovens, you can also reheat your sauce in a double boiler over simmering water. 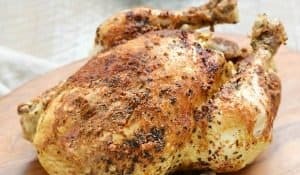 Here are some affiliate links to the actual products that I used to create this recipe…just in case you are curious…..
What can Easy Blender Hollandise Sauce be used for? 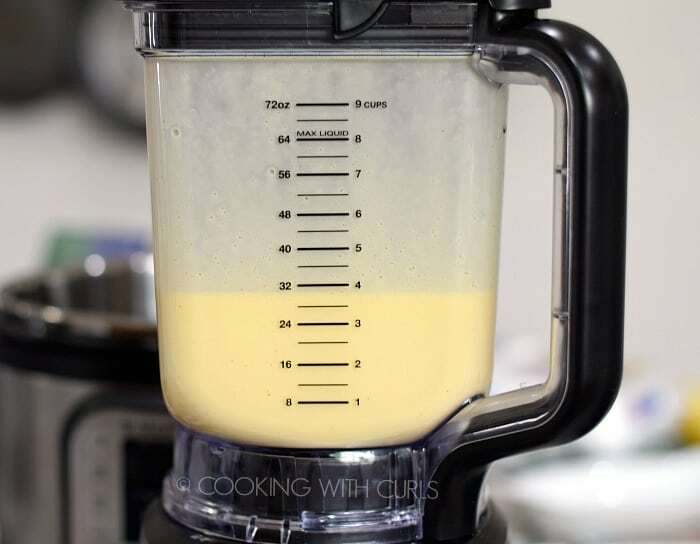 You can use a regular blender, or an immersion blender to create an absolutely perfect Easy Blender Hollandaise Sauce every time! 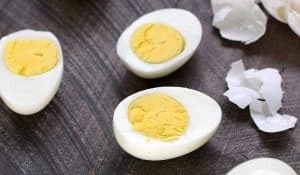 Place the egg yolks, mustard, cayenne, and salt in a measuring cup, wide-mouth mason jar, or blender canister and blend to combine. With the blender still running, slowly pour the HOT melted butter into the egg mixture.